Off-road recreational vehicles can provide a fun way to explore the countryside. 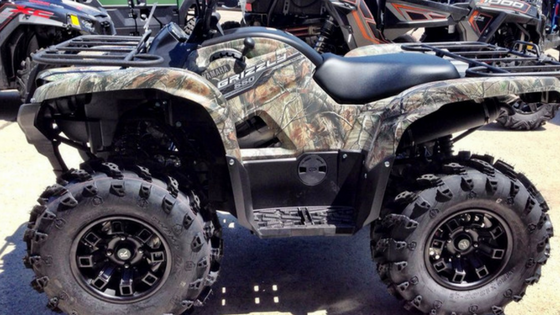 One popular model is side-by-side, also commonly referred to as the UTV (Utility Task Vehicle). They are different from All Terrain Vehicles i.e. ATV’s, as the name suggests side-by-side; they have side by side seating positions, seat belts and comes factory equipped with ROPS (roll over protection system). They weigh well over 1000 pounds and are more than 70 inches in width which makes them different from other off-road recreational vehicles. They are illegal to ride on roads as there is no registration class for these vehicles. That is why they are famous for off-road trails, beaches etc. In addition to recreational purposes, these vehicles can be useful for work outdoors as they have a large rear cargo carrier that can help in hauling items. UTV’s can be very sporty too as the likes of Kawasaki Teryx, Arctic Cat Prowler, Polaris RZR and the new Can-Am Commander are performance packed with costly mod options. Riding these off-road monsters is like sensing an adrenaline rush through your body but at the same time, it is very risky. UTV’s are often ridden in difficult terrains and if you don’t drive carefully there is always a chance of an accident; wrecking or damaging the UTV in the process. UTV is a rare machine, you don’t often find it on a road and so are the parts and the cost incurred, so thinking about repairing the UTV is a bad idea and the best you could do is sell it for a fair price. Places like California, Idaho, South Dakota, Minnesota, Arizona, and Washington are filled with adventure trails and accidents often occur. The wrecked UTV just sits there rotting people don’t know what to do with them. They don’t that they can sell the damaged UTV for cash.  How much will I get paid for my Damaged UTV?  The UTV is really totaled; will the dealer really buy it?  Is the process authentic/legal?  How do I get to haul my UTV to the dealer? The Bike Buyers has answers to all the questions. We are present all around the country and it doesn’t matter if you are in Idaho, Minnesota, Arizona or Washington; making your life easy by providing an instant offer, picking up the UTV and handing you a check on the spot, all done the same day in most cases. Visit our website to fill out the “GET A QUOTE” form and you are ready to go. Once a quotation price is agreed from your side we will send out our certified representatives to your location for towing the UTV/or you can drop your UTV at our location. We will hand you out a check on the price we agreed before taking over the UTV. The check can be cashed the same day. There are no obligations or hidden costs, we pay what we quote. Selling your wrecked or damaged UTV or Side-by-side just got easier and faster with the help of The Bike Buyers. Customers can sell a wrecked or damaged side-by-side (UTV) in any condition, any make, any model, anywhere in the US. We purchase all wrecked or damaged side-by-sides, motorcycles, choppers, scooters, sports bikes, jet skis, sport touring, dual sport, dirt bikes, ATV even Harley Davidson, BMW and custom trikes! We have been helping riders sell their unwanted vehicles for over 25 years. With 350 offices throughout the USA, we have an office near you so go ahead and call The Bike Buyers at 877-751-8019 to get an offer and check today.